Choosing a business location for your cleaning business is a very important aspect of your start-up to-do list. Picking the ideal location is a decision based on a number of factors, the most important of which we’ll try to analyze in this article. You should keep in mind that local officials might be willing to help you with picking up the right location for your cleaning company, in fact, some states have dedicated to this matter services – departments. We mention such local services in our Cleaning Business Start-Up State Guides. Before going ahead and selecting a location, make sure you verify that your cleaning business won’t be violating special zoning regulations that may apply there. Again, consult the local authorities for this matter. When choosing a business location for your cleaning company, the first thing you need to determine is the business activity you’re going for. Will the customers come to you, do you have to go to your customers? Will you have employees? 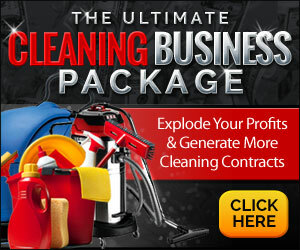 What’s for sure is that you WILL have to go to your customers to perform cleaning services. 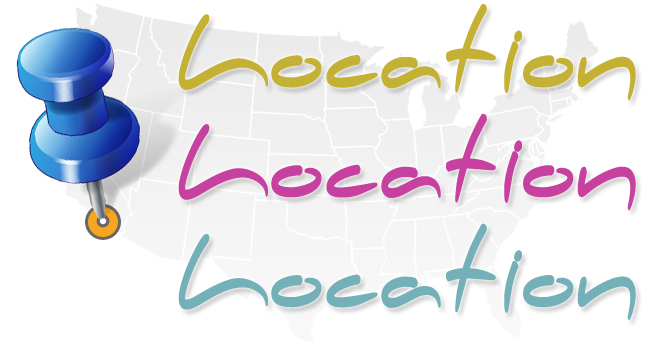 That fact alone must be generating some thoughts regarding your ideal business location. No matter what type of services you’ll be offering, you will have to travel distances to perform your services. As a general principle, you need to make sure your business is rather close to your customers, otherwise, you’ll lose both time and money traveling to and from your customers’ location back to your office. Especially as your business grows and you’re getting more cleaning contracts, having to travel long distances may not be a cost-effective solution should you locate your business far away from your prospects. If you choose to start a house cleaning business, you should make sure you’re close to population centers and have easy access to neighborhoods by walking or driving to them. In this case, running a home-based business rather than obtaining commercial space and offices may be the best way to go in terms of operating costs and overall convenience. However, most residential areas are not zoned for commercial businesses. You’ll have to consult the local government to find that out as there might be tight restrictions and zone regulations in place. When choosing a business location, make sure you determine whether or not you’ll be hiring employees as if you do, running a home-based cleaning business is probably not the right path to take anyway. When choosing a business location for your commercial cleaning services, there’s a great number of things you’ll have to consider. To begin with, determine if you’ll also be having customers to come to your offices to discuss and sign cleaning contracts. While this may seem odd, It does happen when it comes down to rather “big” and long-term contracts with commercial clients. While this is more likely to happen with large businesses that hire you, it’s not unlikely that small business owners who want to outsource cleaning to you for a long-time, will want to inspect your offices and get to know you better. For this reason, you should consider locating your headquarters on a pedestrian heavy, popular downtown retail location. While physical proximity to your prospects is ideal in this case, obtaining a location that is easy to access by driving to and only relatively close (by other than walking, transportation means) to your prospects would be good enough as well. Of course, choosing a business location in such a way works both ways. Not only will your prospects have easy access to your offices, you’ll also gain an advantage by not having to travel long distances to get to most, if not all of your clients. While this may not sound as a big deal, saving gas and time of your daily transportation needs will definitely increase your profit margins. Pedestrian Heavy Locations: Choosing a pedestrian heavy location to base your cleaning business comes with a very positive side-effect. Signs. People see your brand, they start to recognize you and talk about you. This works extremely well down the road getting you word of mouth advertising and more prospects as a result. Make sure you’ve got your phone numbers on your signs for people to take note. Employees and Storage Space: If you plan on hiring employees, make sure you take that into account when choosing a business location. You’ll need a large enough space to house your manpower. If your cleaning company is doing well, you’ll need to both hire more employees and increase your storage space for supplies and equipment. Ideally, you’ll want to predict that when choosing a business location so that you do not have to move when your business grows. If you’re using company vehicles to carry your employees and equipment to client locations, you may want to consider having a parking spot as anything else could prove to be cost-heavy in the long term. Proximity to Competitors: Choosing a business location that is close to competitor companies isn’t always a bad thing. If there’s a large market, it shouldn’t be a problem at all. If however, the market is small and your competition has already established a name in that market, you should probably be searching for alternative locations unless you think you can do a lot better than them. Competition can keep you alert and force you to improve your services, become more cost-effective, implement new marketing strategies etc. Getting a website and optimizing it for local leads is a great way to increase the business you get and at the same time, a great way to tell how advanced your competitors are in terms of marketing their services and brand name. Taking all the above into consideration along with local authorities’ suggestions, you should be able to make an informed decision when choosing a business location for your cleaning company. Again, make sure predict (as much as possible) your future needs on workspace and storage space, take ease of access into account (pedestrian heavy locations, driving access, proximity to prospects) and determine the market size to decide on whether you should or shouldn’t locate your business close to a competitor. Remember to ask the local government for special zoning / environmental regulations that may apply to your cleaning business. Good luck choosing a business location! Did we miss something? Feel free to comment below.